I think the design is quite self-explanatory, it's not pretty and by no means professional but it helps A LOT when adjusting focus. Not only getting focus but also maintaining it has been an issue for me. My lenses focus ring turns so easily, sometimes I think it might be the wind which caused my stars to run out of focus (yeah it probably was temperature haha). So being able to lock it down is awesome. I'll eventually create a metal version, sadly I currently don't have the necessary tools for that. Hmu if you have any questions about it, I hope this helps! As long as it works!!! Field Expedience at it BEST! And Paul Bunyan is Proud of the woodwork too! Looks good. I am sure it will work for you. The bolts look like they are directly in the wood. You may find they wear on the wood and do not hold after a while. You can get metal threaded inserts to press into the wood to overcome this. Consider using a three d printer for the next edition. THey are easier to come by these days than a good mill for metal construction. And it will be lighter. To add on to Alex's thoughts on 3D printing in plastic- I've done it, and it has pros and cons. 3D printing is widely available now, and many public libraries (like mine) offer it for free! So for free what do you have to lose! 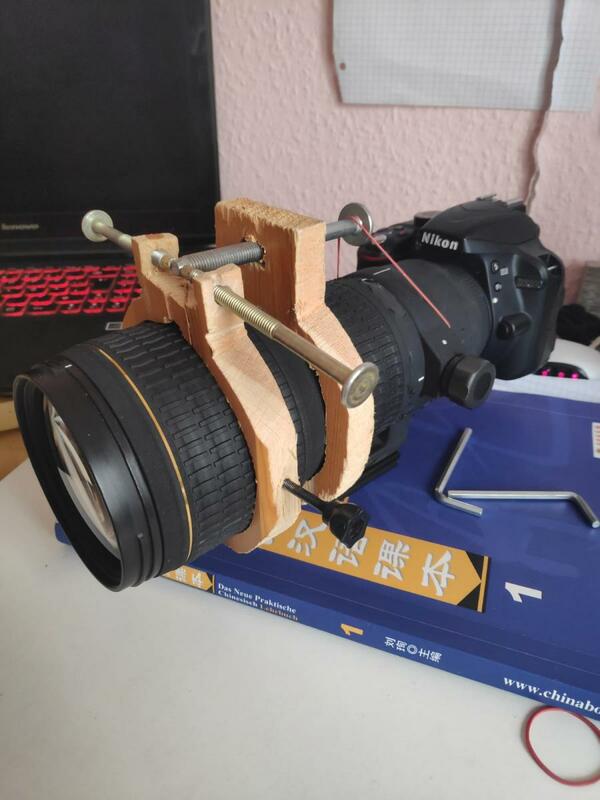 It works slightly better than hand focusing for FINDING focus. 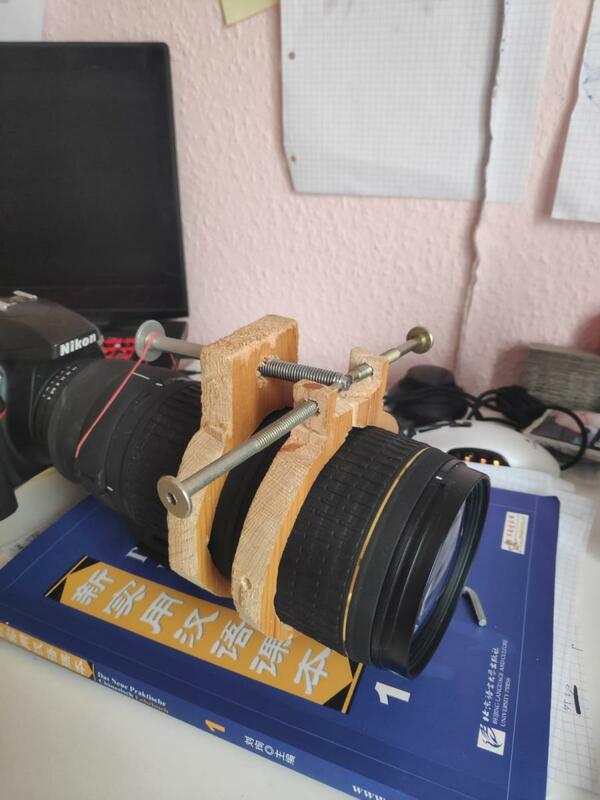 It works significantly better than nothing for HOLDING focus. If you put in a metal threaded insert (or nut) for the screws, it makes turning difficult over time, as with temp changes the metal tends to seize up. I am not an engineer so I don't know how the metal one you can buy from TS-Optics solves this issue. If you just use the bare plastic, it falls apart and breaks. I had one break trying to adapt it for metal parts, and my second one break after 3 months of use with the bare plastic and the metal screws. Every lens barrel is a bit different, so unless you have 3D design skills, the whole approach might not work for you. 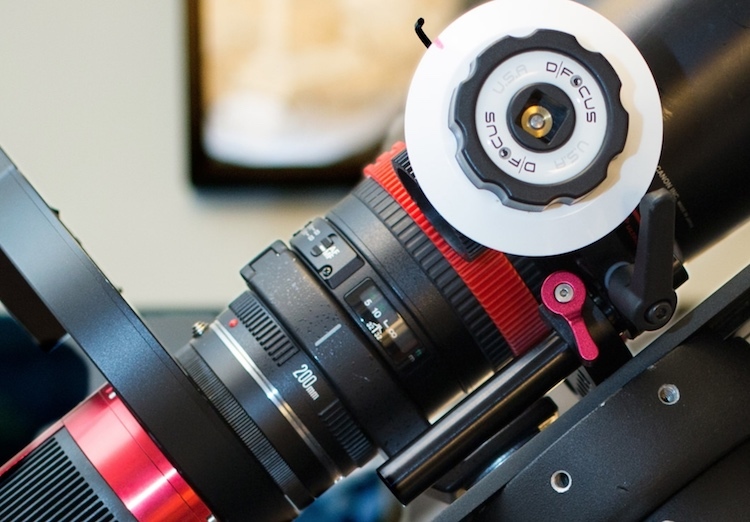 After my second try at it broke, I decided to just use my follow focus (I already had for filmmaking) and a rubber gear strip (see picture below). It works about as well, and is way more durable. 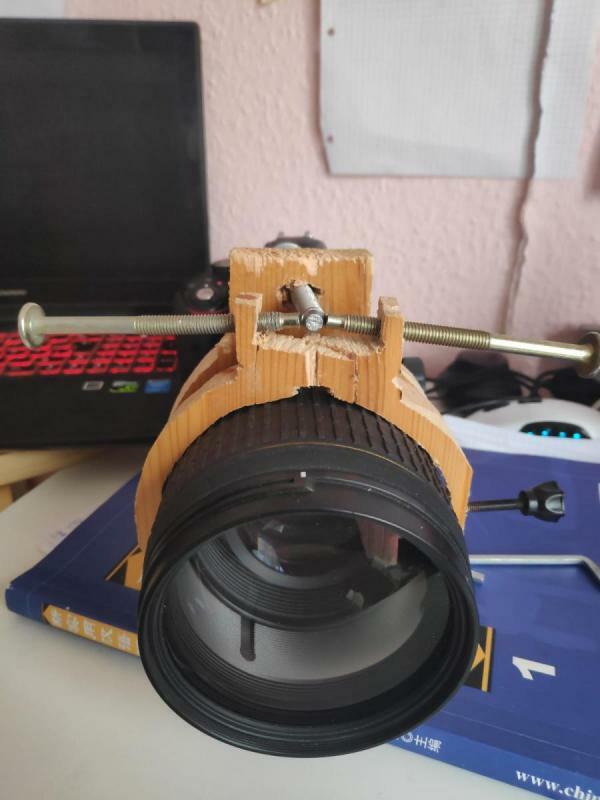 Just about when I was thinking about moving on from this system, and getting an automated focuser system from Rigel Systems or Moonlite, I bought my SVQ86, and haven't been using lenses. Gotta say it is quite the relief to go from trying to focus a lens at f/3 to focusing a smooth 3" telescope focuser at f/5. Your version certainly looks a lot more professional that mine. I'm definitely gonna look into 3D-printing! >>>>>> as with temp changes the metal tends to seize up. At the level of precision we are dealing with, this can hardly be a problem. A quarter-20 wingscrew in a T-nut is not gonna seize no matter what the temperature. Or at least any temperature that the camera can operate in.